The minute you start developing a site, the first tool you'll use is a text editor, whether it's as simple as notepad or a full blown IDE. In this episode Addy & Matt look at their collection of plugins for Sublime Text and discuss how each one helps with their workflow. To get the packages (or plugins) referenced in the episode, you need to install Package Control, it's nice and simple to install and you can find instructions on how to do so here. For example, if you accidentally typed a variable name wrong, like below, then JSHint will point out that fo was never defined and is going to cause an error. The JSHint plugin points out issues the by displaying a yellow box around the relevant text and placing your cursor in that bit of code will result in an error message being shown in the bottom left of Sublime. To install the SublimeLinter-JSHint Package you'll need to also install the SublimeLinter package and follow the installation instructions on the SublimeLinter-JSHint Package page. Some developers may find it helpful to include the JSHint Gutter plugin as well. It places a small dot in the gutter of any line with a JSHint issue. For example, JSCS can be used to define whether spaces should be used after keywords, like 'if', or defining whether curly braces should be on the same line or new line of a method. The SublimeLinter-JSCS package highlights any issues inline in a similar style to JSHint making it easy to correct any problems. This is extremely helpful when it comes to working in a team as everyone can follow the same styleguide and keep your code consistent. The best bit is, with the JSCS-Formatter package you can automatically fix any issues on the page by pressing ctrl + shift + p, typing 'JSCS Formatter: Format this file' and pressing enter. You learn more in Addy's blog post. 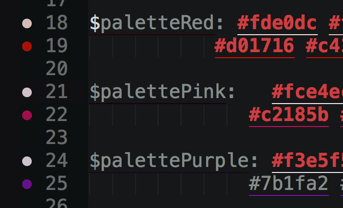 Color highlighter will add a color to the background of any color definitions in your CSS or Sass. You can define whether it shows as an underline with a full background when you hover over it or always displays color on the definition background. Just go to 'Package Settings' > 'Color Highlighter' > 'Settings - Default' to see the initial settings and alter your settings in 'Settings - User'. Gutter Color is an alternative to color highlighter, instead of showing the color on top of the color variable, it puts the color in the gutter of that line. 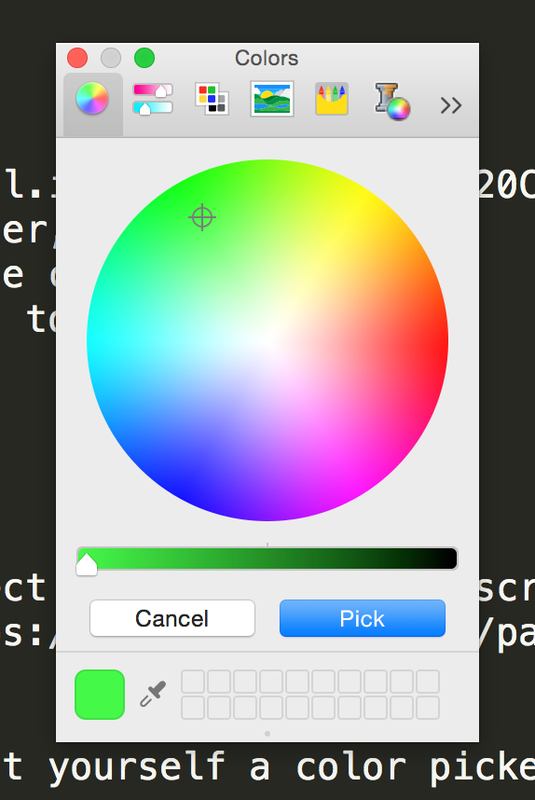 If you ever need a quick and easy way to select a color from your screen then the Color Picker Package may be for you. 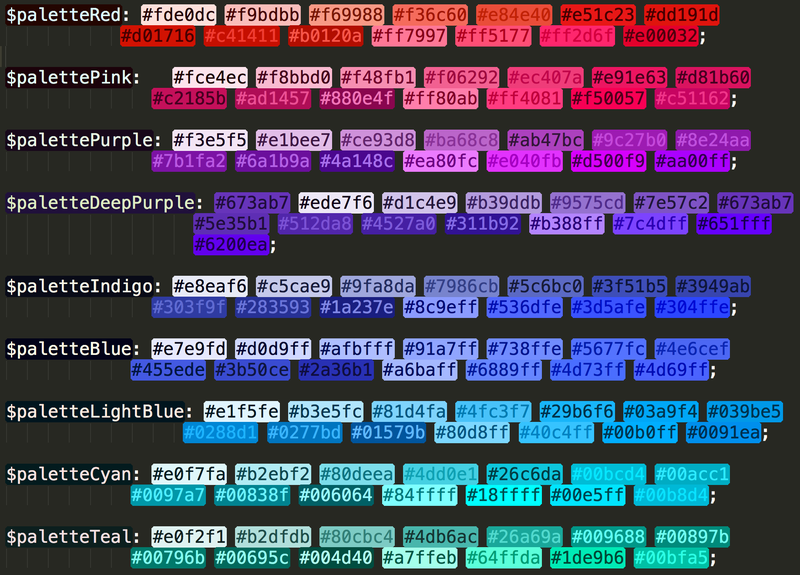 Press ctrl + shift + c and boom - you got yourself a color picker. AutoFileName is a simple little plugin which gives you a list of possible files as you type. This is super handy if you're trying to type out an image name or add a CSS or JS file as it saves you time and more importantly reduces the risk of typos. We've all had that moment of realization where we've forgotten to add a prefixed CSS property. With Autoprefixer you simple run it on your CSS and it'll add all the prefixes you need. It means we go from this..
..to the following, just by hitting ctrl + shift + p and typing 'Autoprefix CSS' and hitting enter. You can also define what browsers and browser versions you would like to support in the package settings. Checkout the Package Control page for more info. 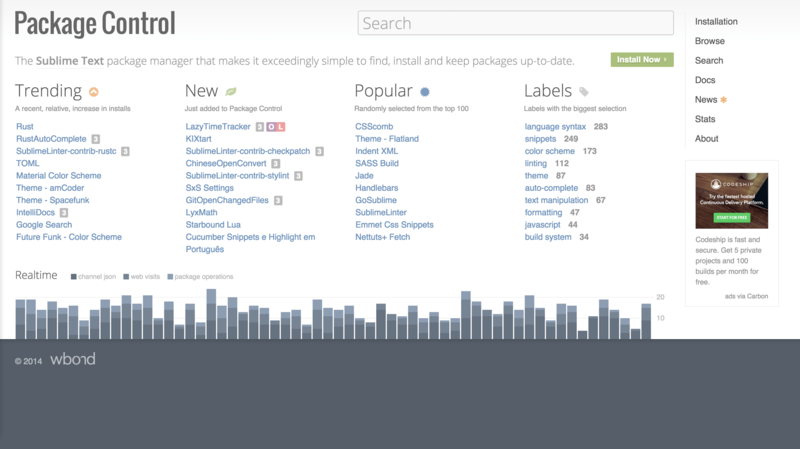 There are a tonne of other plugins that exist for Sublime Text, so be sure to explore Package Control. For more advice and tips, you should checkout WesBos's great slide deck on keyboard shortcuts and other plugins for Sublime Text.